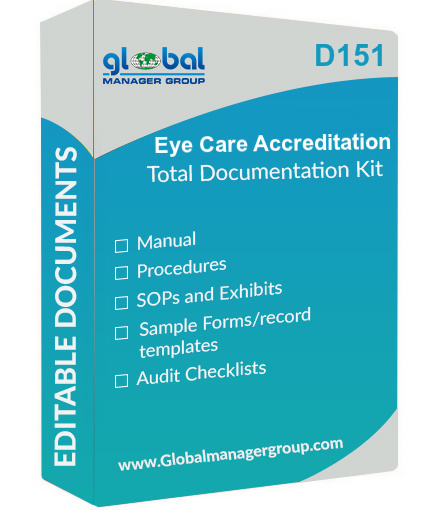 Global Manager Group, leading ISO documents and ISO awareness as well as ISO auditor training presentation selling company is delighted to announce the launch of its new product D151- NABH Documentation Kit for Eye Care Organisation Accreditation. New to Global Manager Group’s Eshop, NABH Documentation Kit is designed to help Eye Care Organisation in NABH accreditation. It provides a complete set of mandatory and supporting pre-written documentation templates to reduce the time spent developing documentation. This NABH Documents prepared by highly technical team of NABH consultant and ISO auditors from Global Manager Group, and taken care of each requirements of the NABH standard. It contains documentation such as NABH Manual, System Procedures, SOPs, Forms and Templates, Audit Checklist, etc. The complete set of NABH Documents designed to minimise the time and cost involved in eye care organisations accreditation. It assists user to understand quality systems in hospitals and how to achieve fast and effective NABH accreditation certification. Energy Management System (EnMS) as per ISO 50001 refers to a system used by an organisation to manage its activities, product or services in such a way to minimize or eliminate the significant energy use. The ISO 50001 Manual is a mandatory document in the EnMS that must describe how a company will implement its system. It must define whether organisations are applicable and how they will be implemented. It describes the energy management systems structure which has been implemented to meet the ISO 50001 – energy management systems. ISO 50001 manual also describes objectives and responsibilities of the energy management system and provides a link to the system documents to the various elements of the ISO 50001 standard. 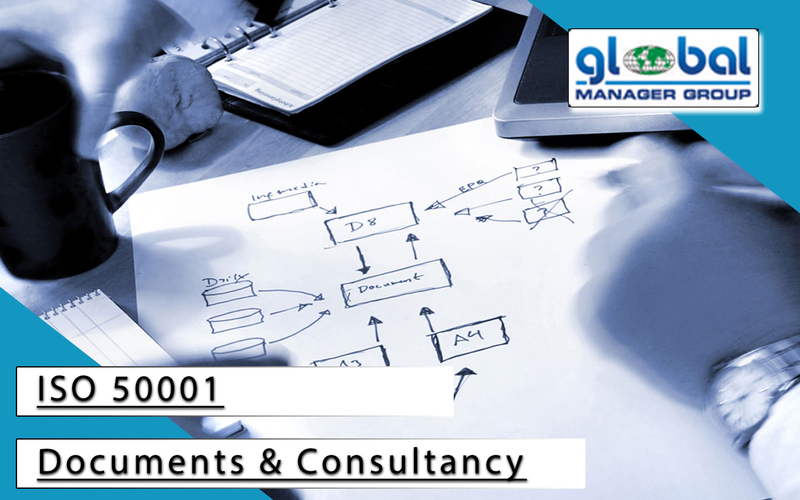 ISO 50001 manual document covers company profile, control and distribution, procedures, glossary of terms, organisation structure, etc. The purpose of ISO 50001 manual is to establish and clarify the terms and conditions governing the Energy Management System. These policies define the intentional provision of management to manage operations and activities in accordance with the framework established by the ISO 50001. It offers a medium for the organisation to present its commitment and approach to energy management. It is a good place to document other requirements, besides those required in an accessible and easy-to-read format. It helps the auditor do a better and more complete job of EnMS auditing, and in turn, to offer suggestions for improving the system. Perhaps best of all, it provides a good overhead view of the Energy Management System for the management representative, as well as the process owners. Global Manager Group, leading name in ISO documentation, ISO training and Certification Consultancy has re-introduced its product D141 – ISO 15378 Documentation Kit as per newly revised standard ISO 15378:2017 requirements. The newly upgraded ISO 15378:2017 standard has been released by International Organization for Standardization (ISO). The new edition of the standard has had some key changes. The experienced team of ISO Consultant of Global Manager Group has started work on revising this ISO 15378:2017 Documentation kit as per newly revised ISO 15378:2017 standard and make it available online in very short time of release of standard. 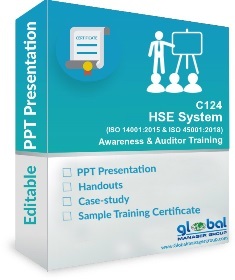 This readymade ISO documentation kit contains ISO 15378:2017 documents like manual, procedures, SOPs, exhibits, sample forms, audit checklist, etc. With this product re-launch, Global Manager Group has committed to deliver Readymade ISO 15378:2017 Documentation Kit at very competitive price at just 899 USD, which covers sample templates that are written in simple English and easily editable format. The user can update total documentation templates as per organization working system and create own documents for their company in quick time.